Halloween must be a busy time for false lash manufacturers right? If you’re dressing up for the occasion, you ain’t nothing without a pair of falsies to flash at passers by. Stop sniggering. Don’t be dirty. 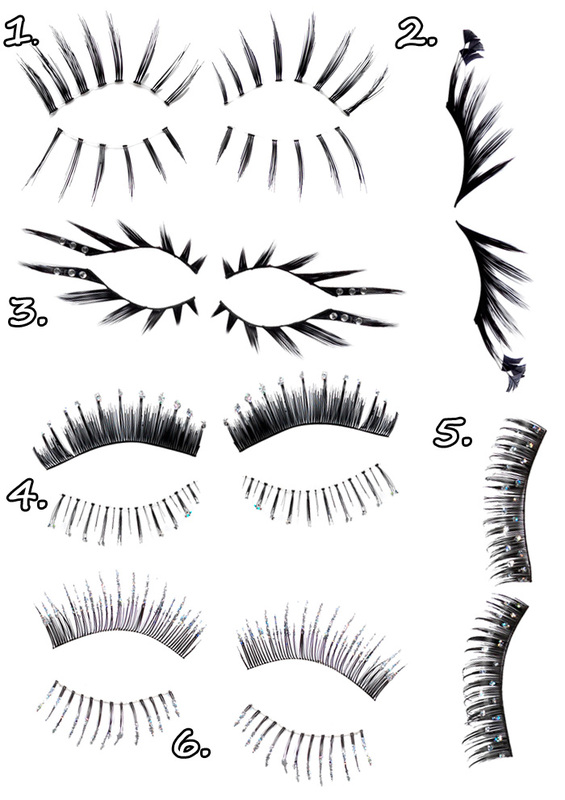 Ardell have released 6 new pairs of false lashes to mark the spooky holiday… introducing Fright Night Lashes! They retail at £6.99 each and are available exclusively from Clinton Cards, Birthdays and Pure Party stores. The sets are reusable if handled with care. I think I want the Dark Angel set… I like the little flicky bit, but… I’m notoriously BAD with false lashes. Do you dress up for Halloween, what are your plans this year? Oooh, I like the Dark Angel ones too. The Cleopatra ones look interesting though! I love the look of Cleopatra the most!